Bu ürünü bizden aldığınızda piyasaya oranla tam 2,988.98 TL daha az ödersiniz. Bütün DTX-PAD`lerini, gerçek hi-hat kontrolörü ve 3-Bölgeli zilleri ile davulculuğunuzu çaldıkça geliştirebilirsiniz. DTX700 modülündeki egzersiz fonksiyonları ile zamanlamalarınızı geliştirip seniyenizi ilerletebilirsiniz. İçerisindeki her duruma uygun kitler ve sesler haricinde, 64 MB Flash-Rom`a kendi sample`larınızı yükleyebilirsiniz. Dahili kayıt cihazı ve depolama ya da bilgisayar bağlantısı için kullanabileceğiniz 2 USB Portu içeren DTX700K, sahnede ya da kayıt ortamında sample ve sequance tetikleme ya da sanal enstrümanlar için midi kontrolörü olarak kullanılabilmektedir. After years of designing and manufacturing some of the world`s finest drums, Yamaha knows what it means for drums to feel good and play naturally. We designed the DTX-PAD to be the new standard in electronic drum pads, providing drummers with a pad that feels good, offers playability that is as close as possible to acoustic drums, and is exceptionally quiet. Teaming up with the world`s top drummers to satisfy their demanding sense of perfection, we focused our knowledge and experience and created the DTX-PAD. 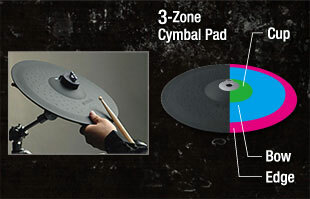 This next generation drum pad allows for true development of acoustic drumming techniques. The DTX700K utilizes the DTX-PAD for the snare, with authentic stick response and ability to play open/closed rim shots essential for snare performance. The DTX700 drum trigger module is packed with high quality acoustic drum, cymbal, and percussion voices (featuring our legendary Yamaha drums) as well as a collection of sounds from the MOTIF XF synthesizer. There is a wide variety of preset kits and you can easily customize the sounds yourself. These kits are extremely realistic down to the smallest details (including snare buzz and tom resonance) so that you will feel like you are listening to a set of acoustic drums. With 1,268 naturally sampled acoustic drum and percussion voices, the DTX700 module will bring out your best drum playing by allowing you to focus on your performance. You can add up to 64MB of new sounds to the DTX700K by importing wave samples directly into the module via the USB device port. The songs of the DTX700K let you play along with or without the pre-recorded drum track, with just the bass player, or with the full ensemble to make playing and practicing seem more like a real band rehearsal. Yamaha`s popular groove tools have set the standard for educational functions that are not only easy and fun to use, but actually help you become a better drummer. 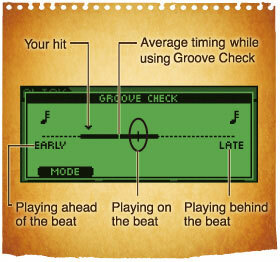 The DTX700K has a collection of training functions including the popular Groove Check that displays whether you are playing early or late, so you can more easily correct undesirable habits. 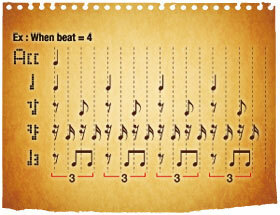 Rhythm Gate is like a drumming game that automatically mutes the sound if you playing is too far out of time, so you quickly learn to control your groove and play ldquo;in the pocket rdquo;. Practice has never been this much fun! The DTX700K also features our professional 3-zone cymbal pads, which can express a different sound in each of the cup, bow and edge zones. These cymbals have a good stick feel and low acoustic noise, which is essential for electronic drums when used for private practice. In addition to a very natural swaying motion, they also have the ldquo;choke rdquo; and ldquo;mute rdquo; functions, providing a high degree of expression similar to that of an actual cymbal. The hi-hat system of the DTX700K features a dual-zone trigger pad (for edge and bow sounds) that mounts to the included Yamaha hi-hat stand for realistic pedal action and versatile positioning. 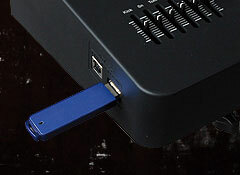 The DTX700K includes an audio input for connecting an external CD or MP3 player into the module so you can play along with your favorite music. Listen through the main outputs or only in your headphones so you can quickly master the piece you want to learn note for note. The DTX700K is equipped with a high-performance, programmable metronome made for drummers that allows complicated rhythms and tones to be stored. The DTX700K gives you peace of mind, too. Even after purchasing the kit, you can expand by adding up to three additional pads if you need to have more toms, cymbals or a double-bass configuration. 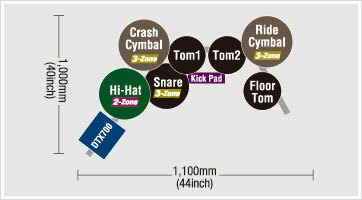 Moreover, all kinds of upgrades, such as an enlarged size for the snare`s DTX-PAD, are possible. 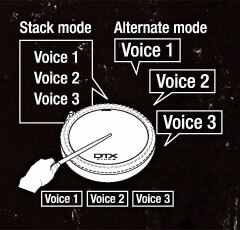 With the DTX700K, up to four different sounds can be layered on any single pad. The ldquo;stack rdquo; function allows those sounds to be reproduced simultaneously, and the ldquo;alternate rdquo; function allows the four sounds to activate in sequence. The Pad Song function lets you trigger MIDI patterns from the pads to add spice to your playing or even control the digital effects. Using these functions together allows you to achieve a performance that`s full of originality. This is something no acoustic drum kit can match. The rack system for the DTX700K offers solid performance and positioning for your kit and has features of our drum hardware including a genuine Yamaha hi-hat stand that lets you freely position the hi-hat as you would on an acoustic kit. 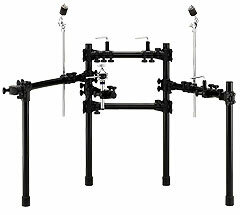 The RS500 rack uses offset tilters on the two cymbal stands and the adjustable ball clamp on the snare for greater positioning options in a compact setup. 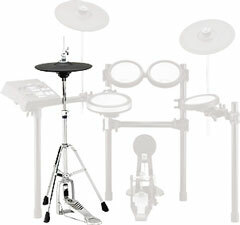 YAMAHA DTX 700K DİJİTAL DAVUL KİT PHİLİPS KULAKLIK VE BAGET HEDİYELİ, Tutku Müzik Aletleri stoklarından sipariş verilen ürünler titizlikle ayrıştırılıp paketlendikten sonra siz değerli müşterilerimize gönderilmektedir. Tutku Müzik Aletleri yıllardır faaliyet gösterdiği sektörel tecrübesiyle profesyonel e-ticaret uzmanlarıyla birlikte hem sipariş bilgi hattı üzerinden, hem de canlı destek altyapısıyla siz değerli müşterilerimizin soru ve sorunlarını çözüme kavuşturmaktadır. Siparişini vermiş olduğunuz YAMAHA DTX 700K DİJİTAL DAVUL KİT PHİLİPS KULAKLIK VE BAGET HEDİYELİ tarafınıza ortalama 2 iş günü içerisinde özenli paketlenerek hasarsız olarak teslim edilir.